Kuokko – Hits the spot! 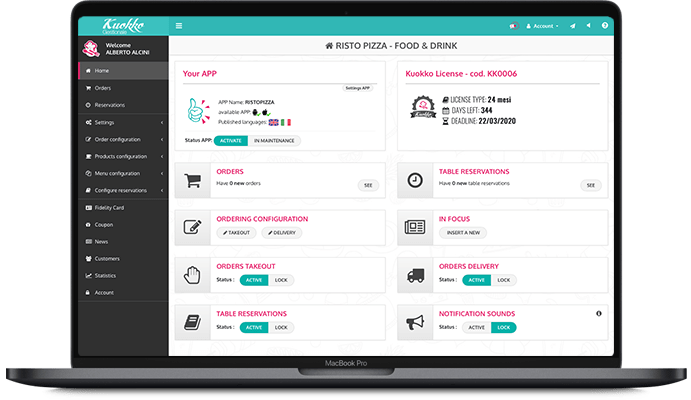 The online ordering app for your restaurant. Your brand and your customers come first! so you and your customers will be happy, not just for the goodness of your delicacies. 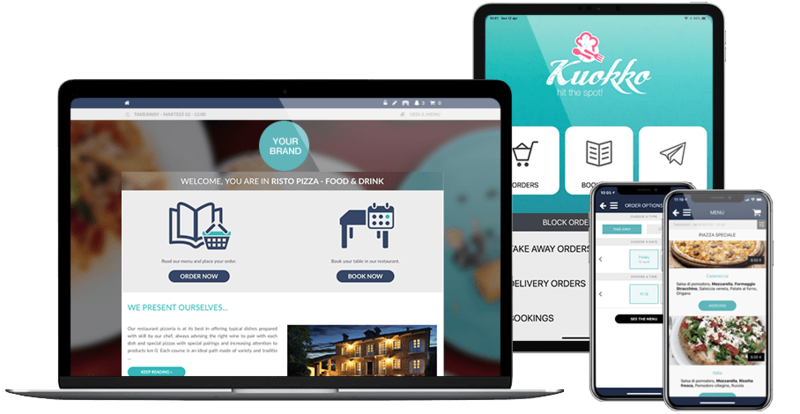 With Kuokko, your app is unique.  The app for your restaurant! All your customers will have in their smartphone the app with your logo, colours and menu. From the control panel, you will be able to enter your dishes and totally customise your menus. 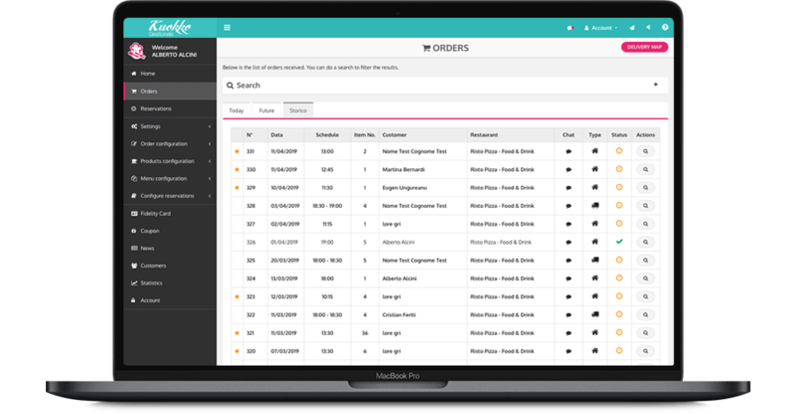 Your orders always under control and easily consulted even from tablets and smartphone. Targeted marketing for your customers with personalized discounts. Management of loyalty cards with scores and prizes to retain your customers. 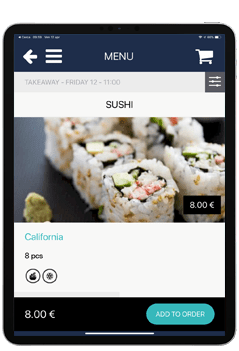 Private chat to quickly communicate with customers about an order or reservation. Your dishes will comply with the latest regulations in relation with allergens. Are you offering your customers a different menu for lunch and dinner? No problem! You can create as many as you like! An added feature that allows the on line receipt of the booking requests for tables. 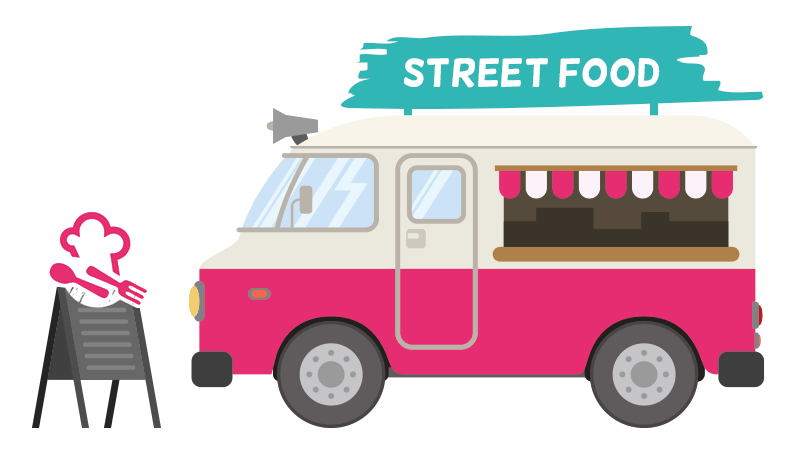 Are you running a street food business? Kuokko is the right choice for you! 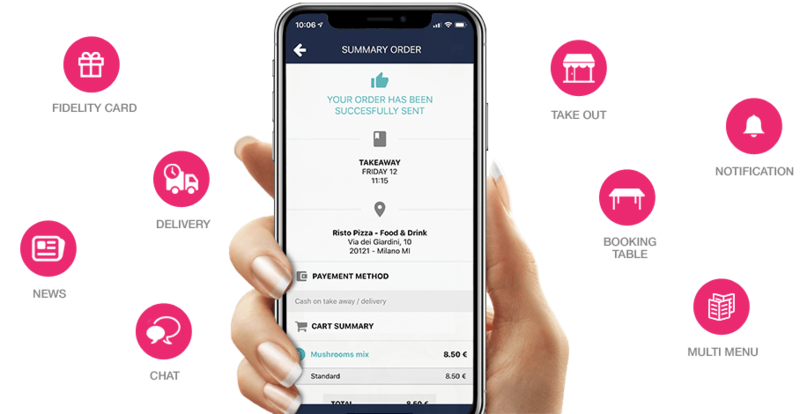 Your customers will be able to comfortably order your products and collect them at the fixed time time and place. developed for your customers' comfort. pay and send the order. It's simple! Online secure payment with Stripe.